Kim with her mother and three sisters. When her friend posted “Before and After” photos on Facebook, Kim reached out about getting eye cream. Instead, her friend asked her out to coffee to talk about the business. “It was a no-brainer, and I signed up as a Consultant the next day.” Though Kim was mostly interested in the products, her business took off. Within six weeks, she had recouped her investment, and by the two-month mark, she had earned the Fast Start bonus. 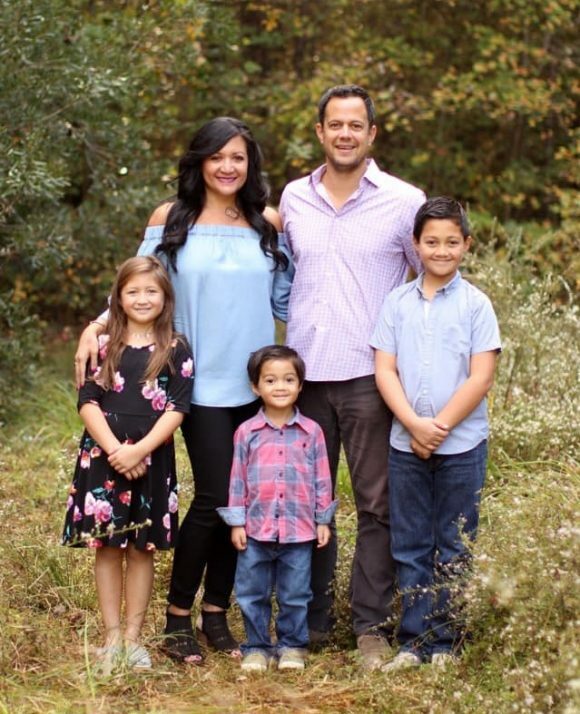 “That’s when I realized the power of this business and what it could mean for me and my family.” She shared her results with friends and coworkers, and soon, her team grew. 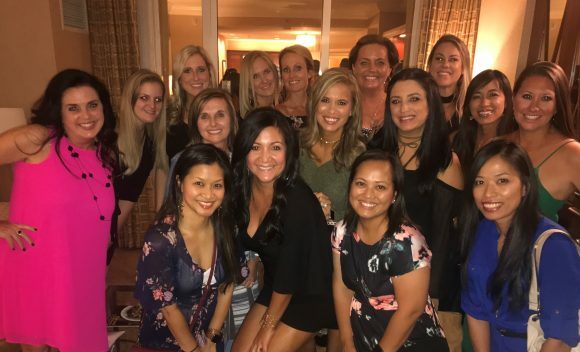 She decided to use her bonus to attend Convention, and a month later, with a lot of hard work, she reached Level V.
Kim celebrating with her R+F team. Love this and your amazing story! You Rock Sister! ❤️ Congrats! Such a powerful story, Kim! You are definitely doing BIG things. Congratulations!